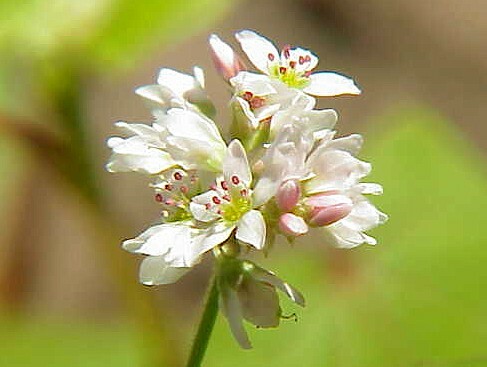 Buckwheat belongs to the family of “polygonaceae” (fagopyrum). Originated from the Far East (Siberia, Manchuria), it was introduced to the West by the Arab travellers and conquerors. It is being planted in june. It does not need watering. In late July it offers a sea of white beautiful flowers. We sell it in grains. Or we grind it in our our stone mill. Without taking off the cork. It has no gluten, so it is suitable to intolerant to gluten. It has many nutritional qualities: 13-15% of proteins, which contain all the 8 essential amino acids, besides many minerals and vitamins of B group. Wash and boil it for 20′. 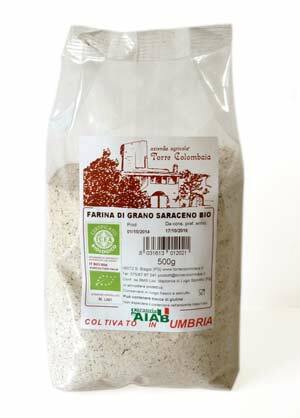 It is very tasty with vegetables and legumes, either in soups or cold salads.